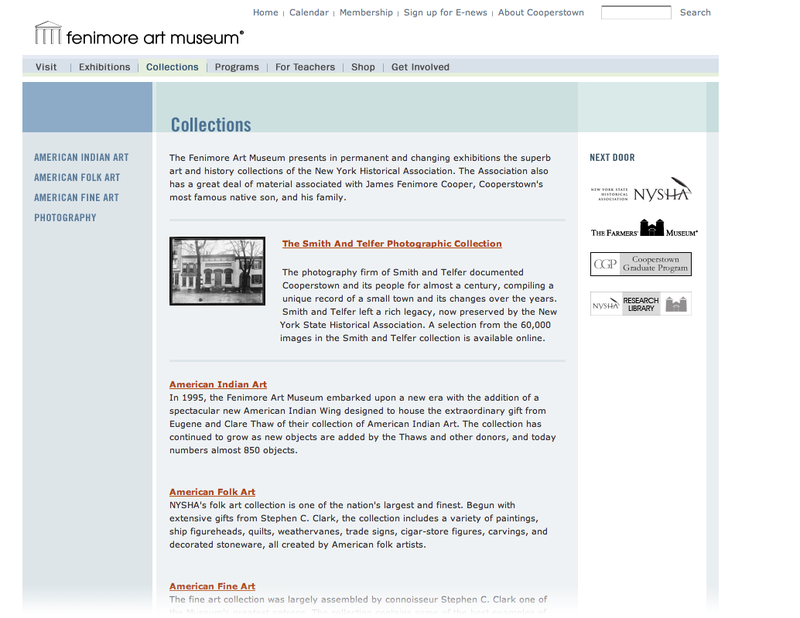 DPCI implemented the Drupal Web content management system for the Fenimore Art Museum and its two sister organizations, the New York State Historical Association and the Farmers' Museum. 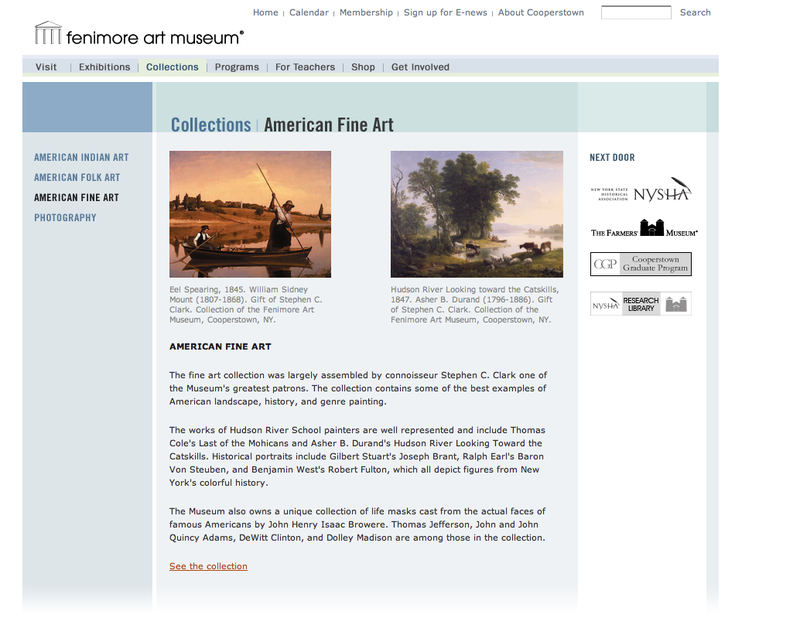 The collections of the New York State Historical Association are showcased in the Fenimore Art Museum and comprise some of the best examples of American landscape, history, and genre paintings. 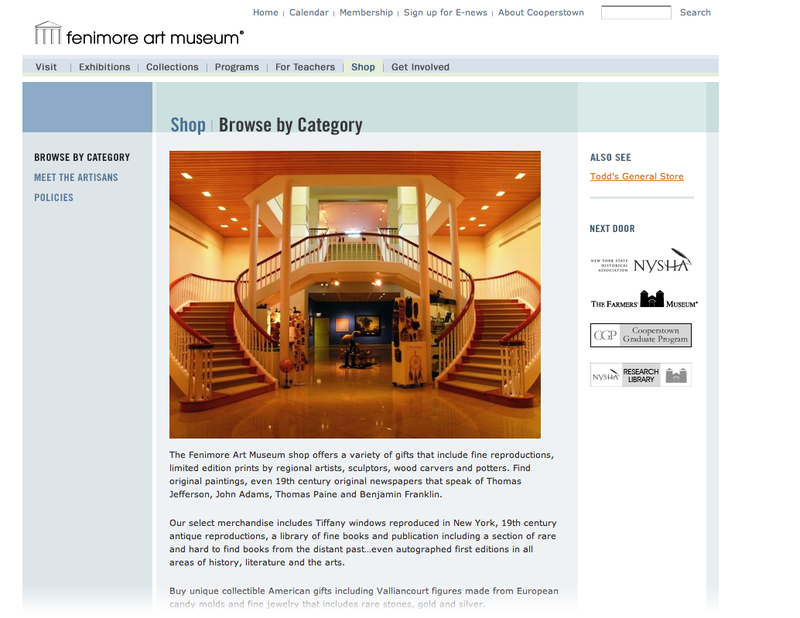 The renowned Eugene and Clare Thaw Collection of American Indian Art and one of the nation's most comprehensive and significant folk art collections are some of the museum's remarkable assets. 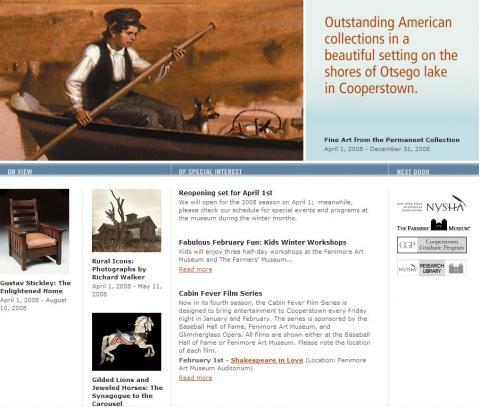 DPCI implemented the Drupal Web content management system for the Fenimore Museum and its two sister organizations, the New York State Historical Association and the Farmers' Museum. The system allows the collective to share content and operate a distance learning portal for online educational programs.